Staten Island is having quite a summer. 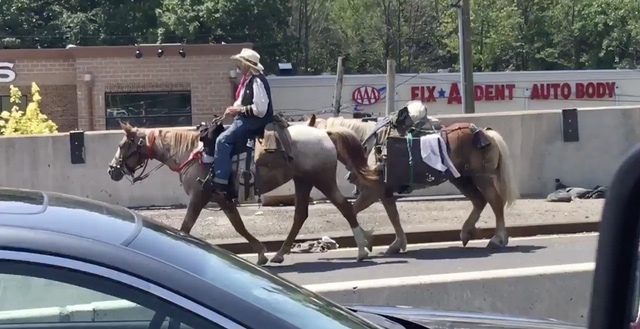 Huge sharks, the threat of secession and now here's a guy in full cowboy regalia just casually riding one horse while pulling another one behind him as he crosses the Outerbridge Crossing. Will the viral marketing for a Wild Wild West sequel never end?? ?